The Paper Pumpkin Kit for April was a great kit. It was designed by our very own CEO, Sara Douglass, and it included a free gift this month. 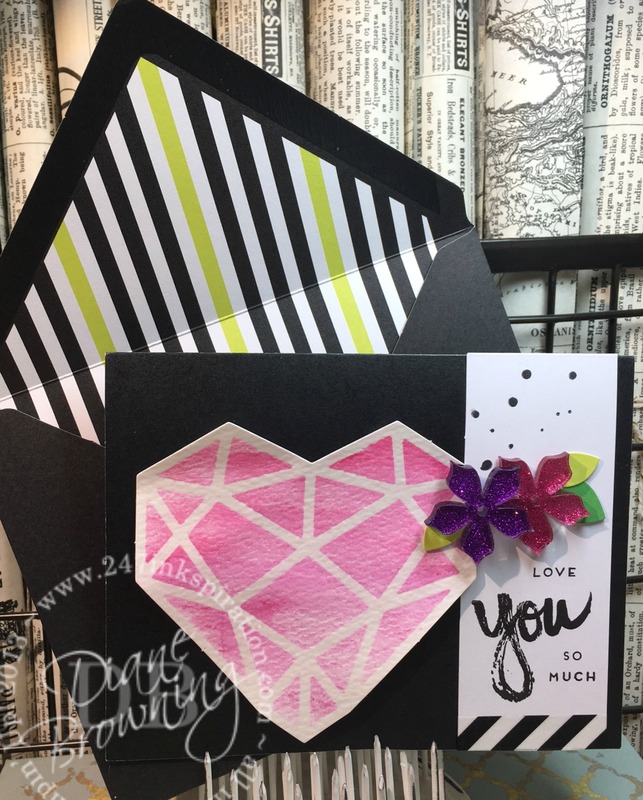 This kit was very generous and included a ton of goodies to make 12 cards. The free gift was a small pack of our mini Watercolor pencils. They work just as well as our full size pencils. Here is the first card in the kit, which also happens to be my favorite. To get the watercolor effect, simply color the watercolor paper with the pencils, and then using a paintbrush and water or Aquapainter, blend the colors together. The more water you add, the lighter the color will become. I start with very little water and then add more as needed. Here is Card #2 from the kit. The heart is supposed to have more of an ombre look, but it just didn’t work out that way. I could have gone back and added more of the darker pink to the bottom half if I wanted to take the time. I think it still looks good the way it is. And here is Card #3. I used only a blue and a yellow watercolor pencil here, but by blending the two in the middle, I ended up with green in the middle. For this last card, I improvised on the directions given. The suggested sentiment on this card was “For the Best teacher”. My kids are in high school and they really don’t want to embarrass themselves by taking in teacher appreciation gifts. So, I knew “For the Best teacher” wasn’t going to do me any good. And since the kit included several different word choices, it was easy to substitute something else. If you didn’t subscribe last month to Paper Pumpkin, you’ve now missed out on getting last month’s kit. 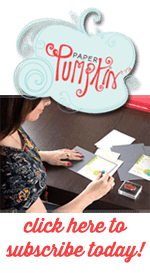 But, don’t worry, you still have time to sign up for the May Paper Pumpkin kit. The cutoff date each month is the 10th to get that same month’s kit. If you sign up after the 10th, you will start with the following month’s kit. You can sign up for an ongoing subscription or select a short term subscription from one of the choices below. The short term subscriptions make excellent gifts too. Mother’s Day is coming up and this would make an excellent gift for the mothers in your life that might need a bit of fun for themselves.